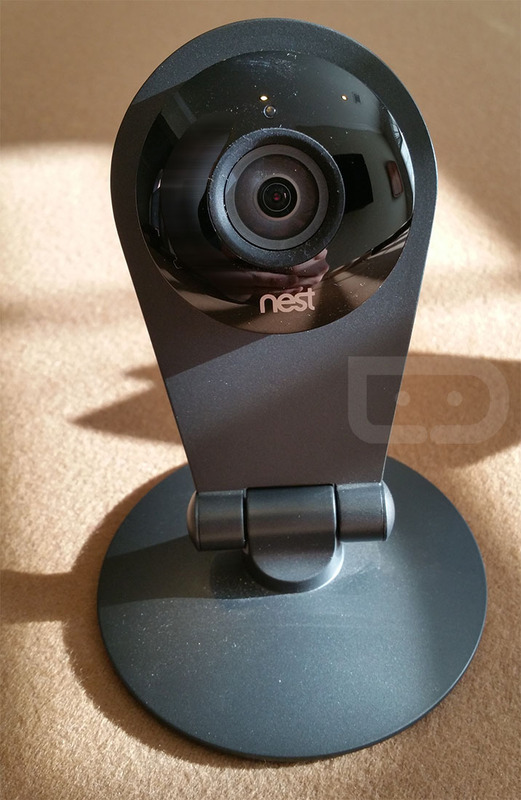 You know that story from earlier today that suggested Nest may unveil a new wireless camera at next week’s event? This is the camera. This is the Nest Cam. 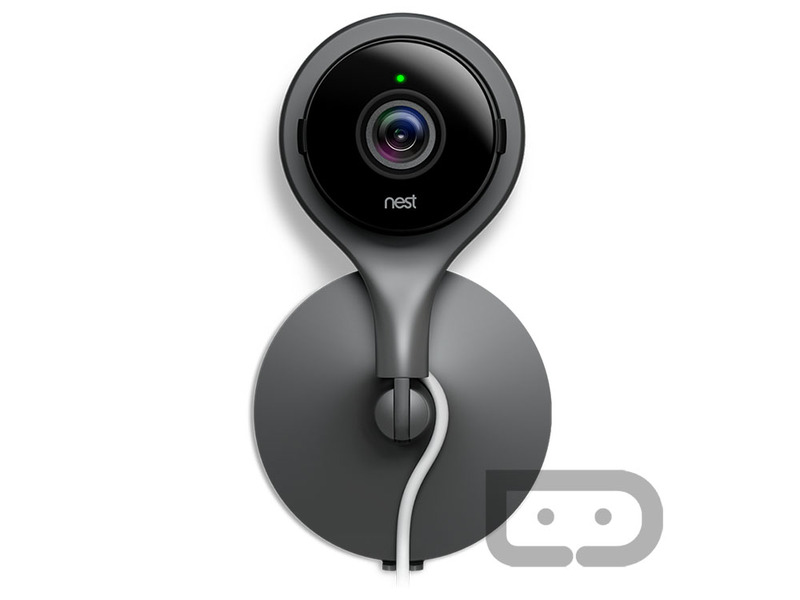 As you can see from the image above, it looks quite similar to a Dropcam, which would make sense, since Nest now owns Dropcam and has access to their hardware, molds, etc. 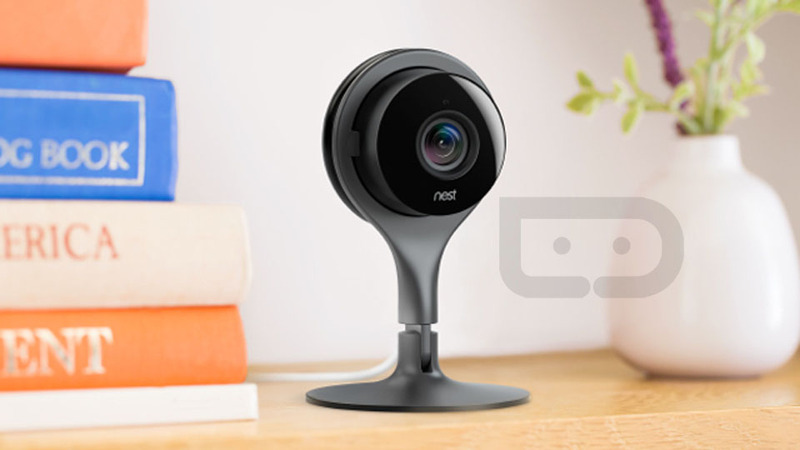 The Nest Cam, according to our sources, has been in testing for months in disguise as a Dropcam Pro, only with Nest branding on the front in place of the word “Dropcam.” You can see an image of a test unit here. The new unit appears to have been slimmed down quite substantially to a much more modern and sleek body that should fit quite nicely on a shelf. Dropcams were never the most beautiful piece of technology in your house, but the Nest Cam certainly changes that some. Nest has been slowly rolling out new features to test units, like full 1080p video streaming (likely recording too) and a simpler setup process that involves Bluetooth and QR codes. As you may recall from the FCC filing we saw this morning, the new Nest wireless camera does indeed have Bluetooth, which we suggested would be used to setup new cameras. There could also be other new unique features to Nest Cam that we haven’t been made aware of. Here is another look at the Nest Cam. 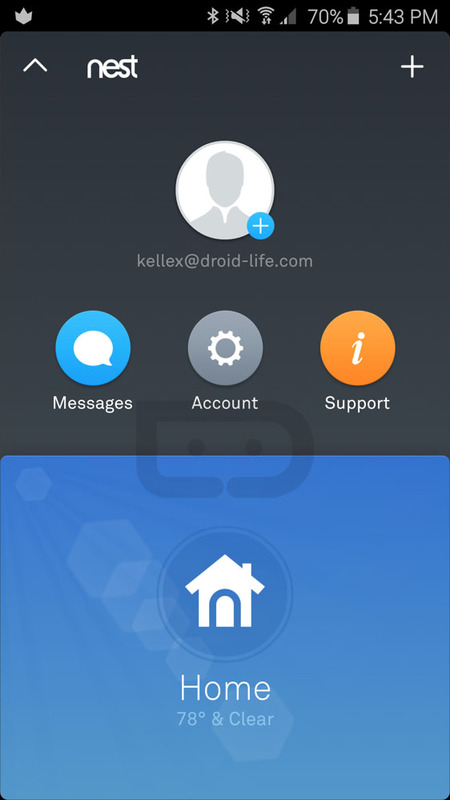 On a related note, the Nest app is about to receive a major overhaul that also brings together Dropcam and Nest products. The new app is getting a UI makeover that looks quite modern, has a slide-down menu (yes, down), and a new button-heavy interface. 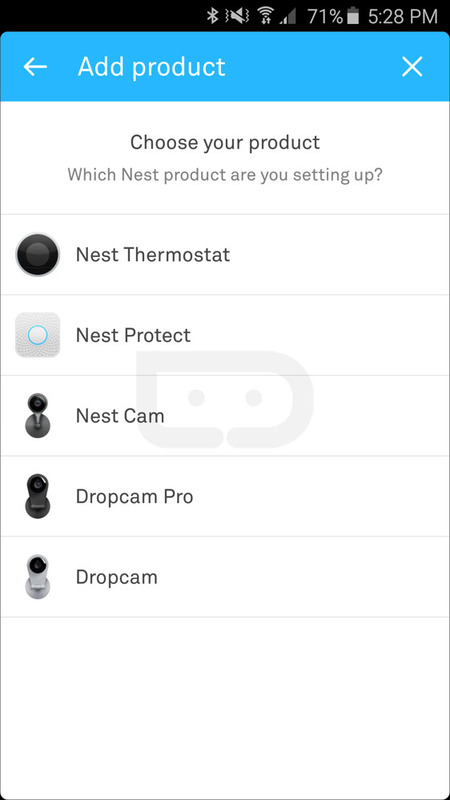 But maybe more importantly, the new Nest app has the ability to show you Dropcam cameras and their status. 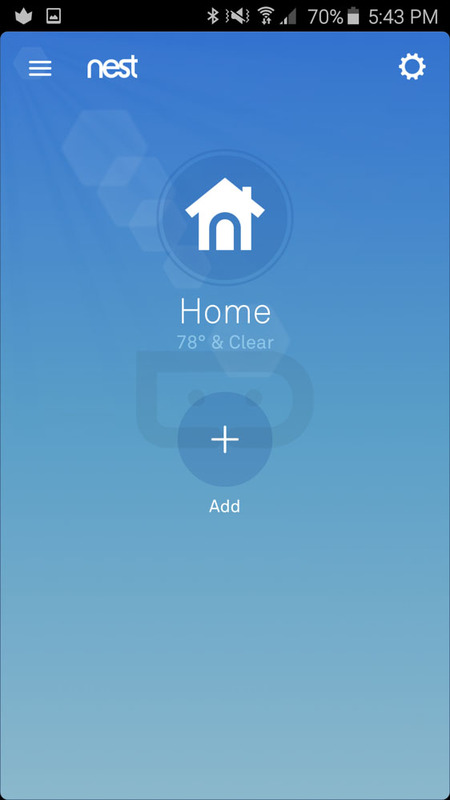 The app will also (of course) let you control your Nest Thermostat and Protects, making the Nest app a hub for controlling all of their products. We don’t know anything about pricing or availability. Next week should be fun, though.